Western Australia’s Pearl Producers Association says the industry has been shocked by the death of a 22-year-old pearl diver in the Kimberley, the first death of its kind for more than 20 years. WA Pearl Producers Association stated that the industry is shaken by the death of a 22-year old pearl diver. The association stated that a death of this cause has not occurred in over two decades. The diver was a member of a six-person driving team that was diving from a boat at a Paspaley wild shell harvest close to Eighty Mile Beach. According to police, the diver was found in a distressed state but died shortly after. Association chief executive Brett McCallum says the cause of death is currently undetermined.McCallum assured that the association will do everything in its power to determine what the cause of death is and how it can be prevented through improvements in any area. He added that the industry has worked diligently to improve safety standards. 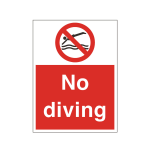 According to the association, all divers must undergo arduous health and swimming tests before being permitted to enter the water. WorkSafe and Water Police are investigating the scene in order to prepare a report for the coroner.